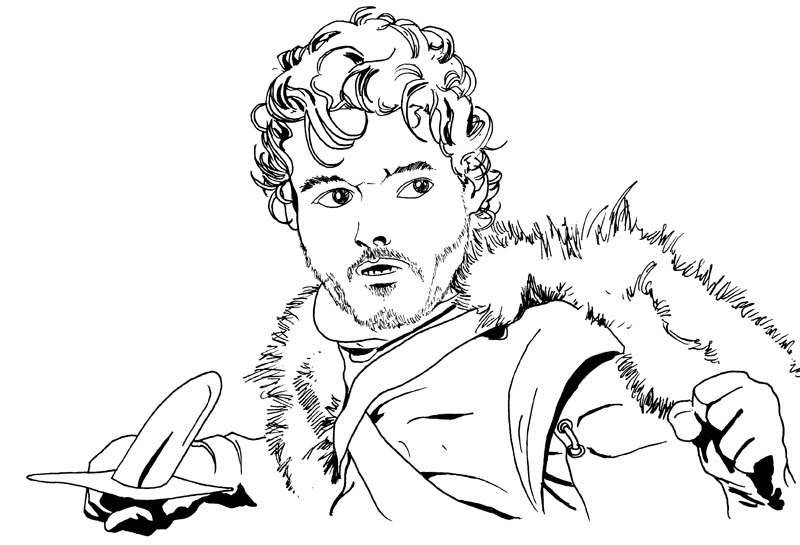 Robb Stark! the eldest of the 5 kids, he’s got that babyface, wanna-beard look. not sure where his character is going yet, but i hope it’s in his father’s footsteps. again, with rough pencils and then Copic multiliners 0.1 and 0.5.